#13-ranked Dalton State got double-doubles from Carnilious Simmons and Aaron Burress in a 74-66 win over Bethel (Tn.) at Mashburn Arena on Thursday night. In tonight's crucial conference game, the focus between the two teams was razor sharp. This continued throughout the game with staunch defense from both teams. To start the half, the Wildcats would jump out to a 10-4 lead, but the Roadrunners would get two steals back-to-back and feed Isaiah Box at the top of the key for a three-pointer to make the score 12-11. The Wildcats would again catch fire, but the run would come to a halt when Coach Ingle called a TO and sent the team back out in 2-3 zone. The coaching adjustment would help the Roadrunners cut the Wildcat lead to three to end the half, 39-36. To begin the second half both teams would trade baskets. Dalton State would institute a full court press on the Wildcats and convert turnovers into easy baskets to go up 41-40. The Roadrunners would gain control of the game when they started to control the glass, and with that came a lot of second chance opportunity points. 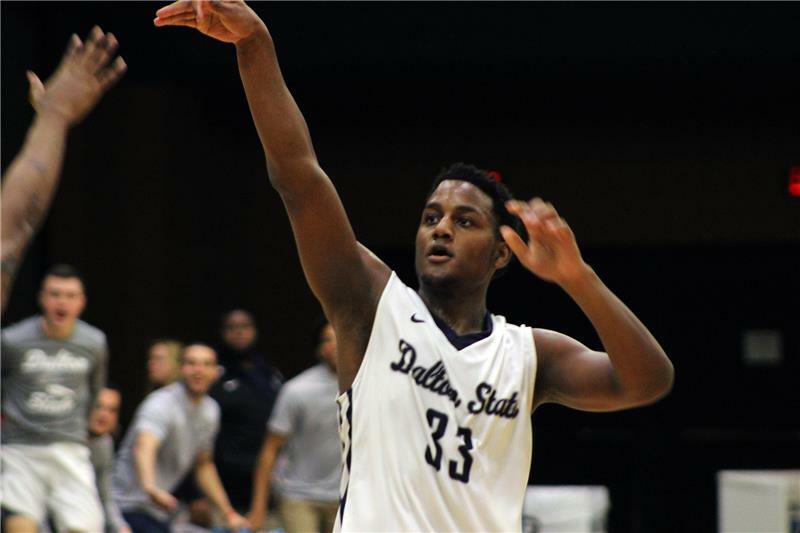 Down the stretch the Roadrunner defense and the offensive wizardry of Reed Dungan would put the game out of reach as Dalton State defeated Bethel, 74-66. Dalton State improves to (16-4 overall, 9-1 SSAC) with the win, while Bethel falls to (12-9 overall, 5-4 SSAC), with the loss. Senior Carnilious Simmons led the Roadrunners with 19 points, 14 rebounds, and 3 blocks, while Reed Dungan and Aaron Burress combined for 30 points, 18 rebounds and 5 assists. Chase Nappier led the Wildcats with 16 points, followed up by Isaac Edmondson and Cayden Edmondson combining for 23 points. The Roadrunners will play Martin Methodist (Tn.) on Homecoming at Mashburn Arena on Saturday, Jan. 27. Tip-off is scheduled for 4 p.m.